Great news that you've added this feature, can't wait to give it a go next time I am going somewhere very specific!! On my way back from holiday in Japan where I’ve been using my Beeline extensively to get around both on foot and bike. The Beeline has been fantastic, great fun to wander the streets and know i’m heading towards my destination. I have however struggled with waypoints, losing track on which waypoint i’m heading towards or finding that the waypoint I’ve set isn’t actually where I want to go e.g. the road is busy, there is an obstruction or the road is prettier/more interesting in a different direction. The ability to switch between an intuitive, free-form route and a stricter prescribed route (e.g. an imported gpx route or the new route generation tool) would be fantastic but I think i’ll still get muddled with which waypoint I’m going towards and frustrated that the computer generated route isn’t the best path. One simple solution for fuzzy/intuitive navigation to coexist with a prescribed route could be a breadcrumb trail display with waypoints marked and maybe a little bee 🐝 symbol showing the relative position to the waypoints. Also If there were little arrows in the direction of travel between the sequential waypoints and the next target waypoint is highlighted. Flicking the Beeline between the breadcrumb display and the arrow display should hopefully keep me on track and make for a much more enjoyable less frustrating ride and exploration. The Dynamic Watch App for Garmin watches is a great example of the breadcrumb trail. Anyway, Beeline is my new favourite device and a great companion during my wanders in Japan. this very nice feature will be available on Android ? When is Route Assistant launching? I’ve updated the (iOS) app today as directed but can’t find it. Guessing Apple is taking its sweet time, I also don't see it yet. Just got the route assistant on my Android phone. Using the route assistant to generate a route from KFC in West Wickham to Queen Mary University in London. It takes me right through busy Lewisham! Would it not be better to connect cyclists onto the established cycle routes,like route 21, which keeps you alive by taking you off the main roads. I feel your product has enormous potential just needs to more realistic about the dangers cyclists face. I've given the route assistant a try from my bike shop back to my home, which cuts me through good parts of the city. My feedback on it so far is that in general it does make for a more secure way of making you get to your destination in time if you need to get somewhere by a specific time. However, I also found that there were a couple of instances where the route assistant seemed confused about which way to send me, with even moments when it would indicate a hard left, only to then indicate in the opposite direction before finding its way again. So I had to put in a couple of human intuition to override what it was saying to me but it did take me back home through a route I would not otherwise have thought of taking. Route assistant and gpx import work great. Thank you. Is there way of telling how far the total route is before starting? My comments on Route Assistant are in the Android Beta Testing thread. The function is still non-functional for me and many other non-UK Europeans while it seems (from posts on this forum) to at least do something in the UK. Could this possibly be a cultural issue, related to using decimal points versus decimal commas in lat/lon values supplied to the routing API that is used to retrieve intermediate points like bridges over water/highways or railway crossings? Hi there from Tokyo. My feedback from here is that this function always gives a “Not Available” error message. I’m using IOS on iPhone 6s. I must admit I was a bit disappointed about that because I bought my beeline back in February when I moved here as a way to get around in a new city. But I simply found the fuzzy TOO fuzzy for my needs and too often found my way blocked by rivers, expressways, big train stations etc in a city I didn’t know well enough to see the approaching ‘danger’. I ended up buying a phone mount for my handle bars and my Beeline has been in a drawer since. Which is a real shame. Would be nice to know why this isn’t possible. Is it a Japan thing? I notice that neither Apple Maps or Google Maps offer cycling as a transport option (i normally use the Walk option) - I wonder if this is the reason? Anyway, hope it changes - i really do want to use this thing!!!!!! So sorry that we haven't seen this before - it was somehow blocked by the forum system for a while but it has now come through. I'm sorry to hear that you've found Beeline too fuzzy for now. Do you know about waypoints? It's manual for now but you can drop them on bridges etc. while you're planning your journey. The Route Assistant isn't currently supported in Japan but we do hope that that changes too and will keep everyone updated! 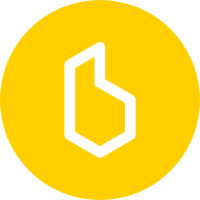 Please get in touch with us at support@beeline.co with any other questions or feedback.